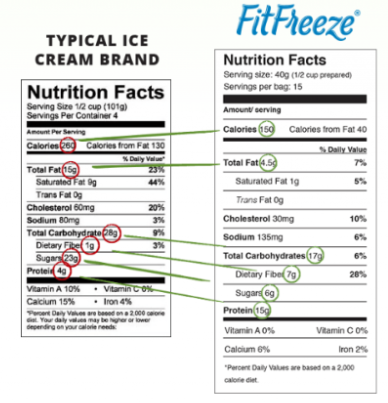 One of the most popular requests our subscribers have begged for has been a good ice cream while on a low carb or Keto diet. As an ice cream addict myself (Yes, I have been guilty of sneaking ice cream for breakfast or with Netflix at 12am) We searched and search, and finally came across something we felt was healthy, easy, and overall guilt free. We opted in to the free sample pack, and got it in 2 days! It came with a recipe guide, coupon for our next order, and the pack made two full servings. This ice cream is great to have on hand to fight cravings, and give your family a healthy alternative to ice cream. Speaking of family – It’s so fun to make different recipes with the base flavors! Check out our recipe videos below! What If Indulging In Delicious ICE CREAM – Every Single Day – Was Actually GOOD For You? Imagine sitting down to a mouth-watering bowl of ice cream so high in protein and fiber, it actually increases your metabolism, boosts your energy, and satisfies all your cravings. NO more guilt after eating dessert. NO more stress or regret. 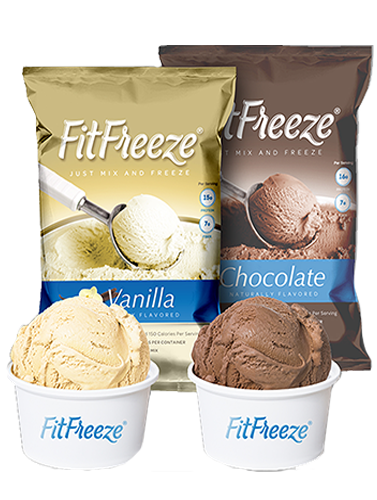 This is all a thing of the past with delicious FitFreeze!